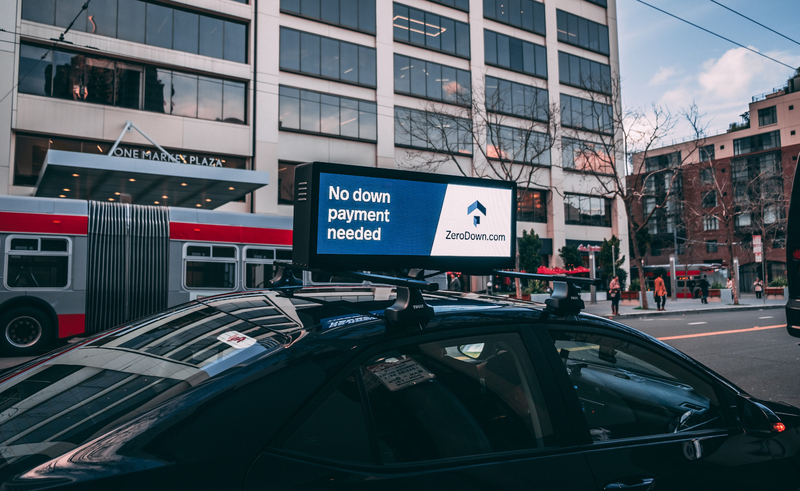 Our Smart Screens let you run hyperlocal campaigns with an easy-to-use self-serve portal. Target your customers with unparalleled precision. 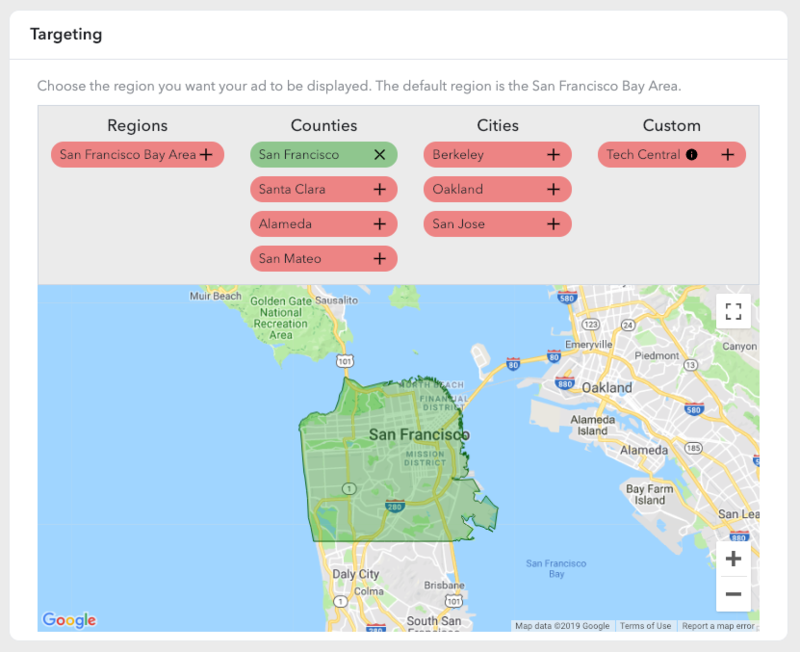 With geofencing, you can tailor creatives to specific regions. You can target at the region, county, or city level. In addition, we're constantly adding custom zones like "Tech Central", which are perfect for reaching a specific type of customer. 3. Set duration and budget. 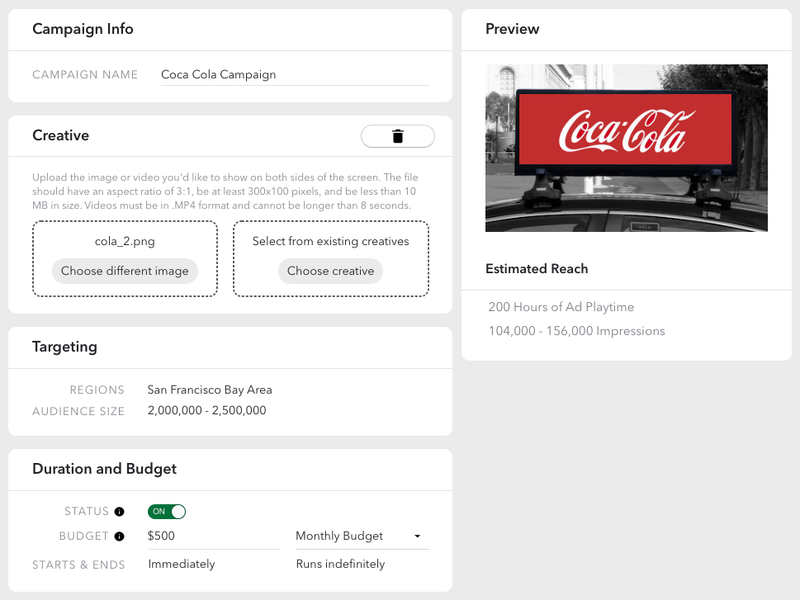 With our Dashboard View, understand your campaigns in real-time. 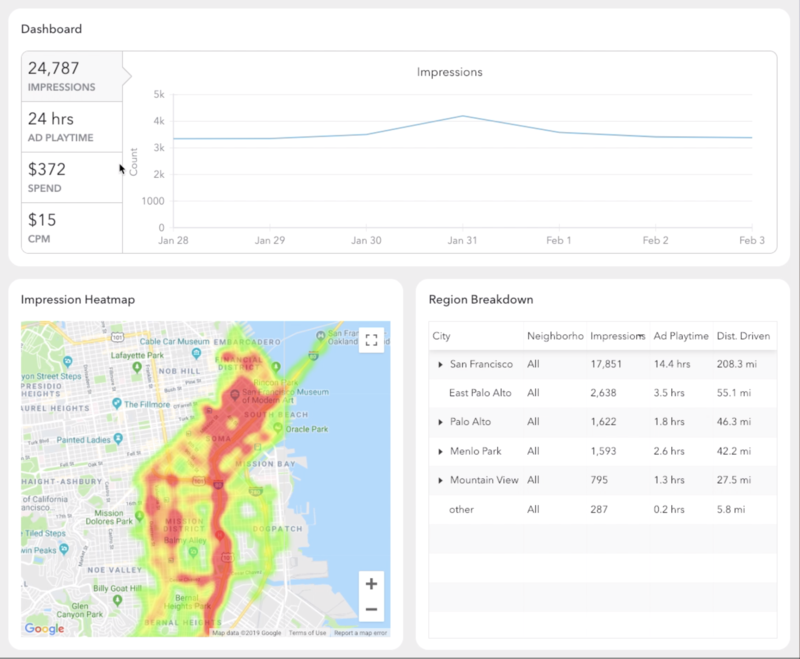 Easily track Impression, Ad Playtime, and Spend. Submit the form and we will get back to you within 24 hours. In the meantime, if you're on your desktop, you can try out the self-serve portal here. Note: If you are a driver, please apply here instead. We will contact you as soon as we can. Thank you for contacting us ! We will be in touch within 24 hours. Copyright © 2019 Lightout Inc. All rights reserved.